← Introducing Our New “Spotlight Series”! Mercury Fillings Must Be Removed the RIGHT Way. Recently, we’ve seen reports and others advertising the use of dental lasers as a convenient way to remove and replace harmful amalgam fillings. As a holistic dentist who specializes in the removal of mercury, amalgam fillings & having removed over 20,000 of them we feel inclined to warn you that lasers should NOT be used in this process. Lasers are growing part of modern dentistry, offering many convenient benefits both for dentists & their patients. 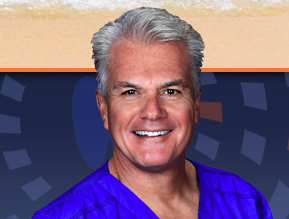 They have many applications in dentistry, as well as supplement other procedures very well. We even use lasers here @ BioDental Healing for use in oral surgery procedures. However, lasers should not be directly used to remove the amalgam from your tooth. The reason why is because lasers generate heat. This heat generation caused by lasers will actually increase the release of mercury vapors, which will inevitably occur during the removal process. That is why we employ a very safe & strict protocol to prevent you – and ourselves – from the exposure of mercury at any point during the removal process. Moreover, lasers applied directly to a tooth could jeopardize its pulp if not performed very carefully. 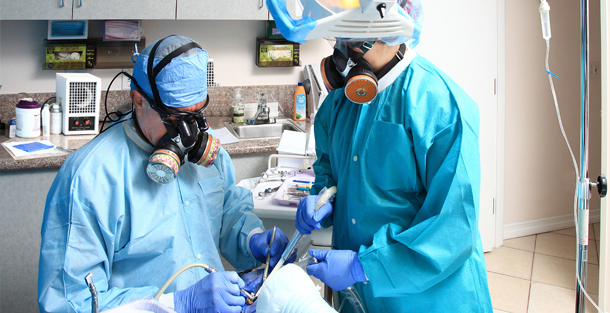 An example of what proper mercury safe protocol should look like as performed by Dr. Villarreal. If your dentist ever recommends that you remove your silver, amalgam fillings and replace them with something more tooth-like & safe, but then tells you how the procedure could be performed very easily using a laser then BE CAREFUL. We would advise you to question their approach further and make sure they are taking protective measures to prevent harm due to mercury exposure such as the use of a rubber dam, ionizer, air suction, full body protection, etc. View What Mercury Safe Protocol Entails. 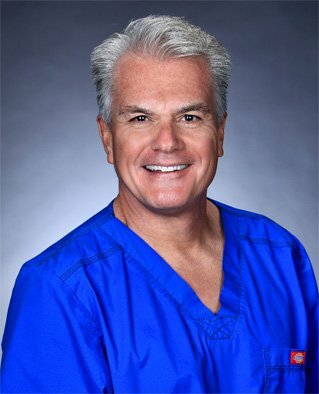 Dr. Villarreal practices mercury safe protocol during every amalgam filling removal that occurs t his office in Newbury Park. For more information on his world-renowned mercury removal services, please visit our website or call us @ (805) 375-2233. This entry was posted in amalgam filling removal and tagged amalgam filling removal, mercury filling removal, silver filling removal. Bookmark the permalink.